If you think that your house has been getting dirty but you have no time to give it a good clean, worry not! 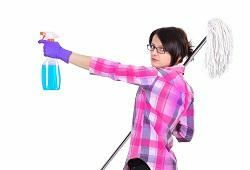 Just call the best cleaning services in Leamouth and you can rest assured that you will be coming home to a neat and clean house. For one-off cleaning, get in touch with One-Off Cleaning on 020 3397 3282. Whether you live in a studio apartment or a three-storeyed house, we can help because no job is too tough for us. We have the best home cleaning crew with the best cleaning resources to give your home the makeover it needs. So what are you waiting for? Hurry up and call us now! When it comes to house cleaning, we can assure you that no one can do a better job than us. We have a team of trained and experienced professionals who are experts at handling all kinds of cleaning jobs. Besides, we bring all our cleaning equipment and products so you don’t have to provide anything. Even if it is a one-off cleaning job, we make sure that we give it our 100% effort. You will never find us lacking in our efforts. This is the reason we have built such a wide clientele in Leamouth, E14. So give us a call today on 020 3397 3282 and book your appointment. We will not only make sure to give you a clean house, but also a safe one. This means that we use tested and environmentally safe cleaning products and techniques in our one-off cleaning routines. If you don’t want to use professional cleaners frequently, we are also willing to design a customised house cleaning routine that is going to keep your house clean for a long time. All this and more is made available to you at really cheap prices. You can compare our quotes to that of any other cleaning service in the market and you will find that no one can beat us in quality and prices. Hire us for a one-off clean today! Want to Know More About Leamouth? Leamouth is a Greater London district in the London Borough of Tower Hamlet where the river Lea joins the River Thames. It is well connected to the rest of London but there have been plans for renovating the areas. The E14 district is slowly becoming a popular residential district, with new projects that concentrate on creating new housing, community centre, arts centre and other new community construction. There are also plans to build the English National Ballet centre in the London City Island which will have abundant rehearsal and theatre facilities. It is well connected to the City by trains and buses, the nearest station being Canning Town station. It is also well connected by a road which is a bypass off A13. One-Off Cleaning offer some of the best deals on one-off cleaning in the area, without compromising on the quality of our service. Because our customers are at the centre of all our business, we make sure that you face no problems when dealing with our company. From the moment you hire us until we finish the job, we have a flexible and accommodating professional attitude. So, look no further than us for an affordable and reliable one-off clean in E14. If you want to learn more about our services, give us a call on 020 3397 3282 and speak to one of our representatives.